There's nothing better than a gift that supports our vanity. 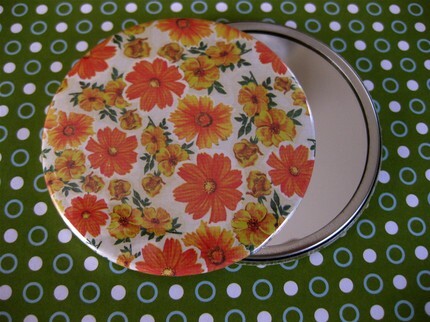 This retro handmade pocket mirror from Etsy.com would be a perfect stocking stuffer. I have a pink, heart-shaped compact mirror that I use ALL the time. They fit perfectly into any size purse, including that mini vintage clutch that NOTHING else ever fits in. Great for touching up that lip gloss or pinching your cheeks for a rosy glow.